It conjures an image of the Chanteloup estate and the varied landscapes of the Borderies. Classed in the Extra category, this cognac pays tribute to both the Chanteloup estate and the design of our blend. It has both the trademark structure and the elegance of Martell cognacs. Martell Chanteloup Perspective is an invitation into the secret of the Chanteloup estate, the historic home of the Martell family. It is a magnificent tribute to a site steeped in history. Martell Chanteloup Perspective is produced by assembling the four main growth areas, or 'crus', of the Cognac region: Grande and Petite Champagne, Fins Bois, and above all, Borderies. 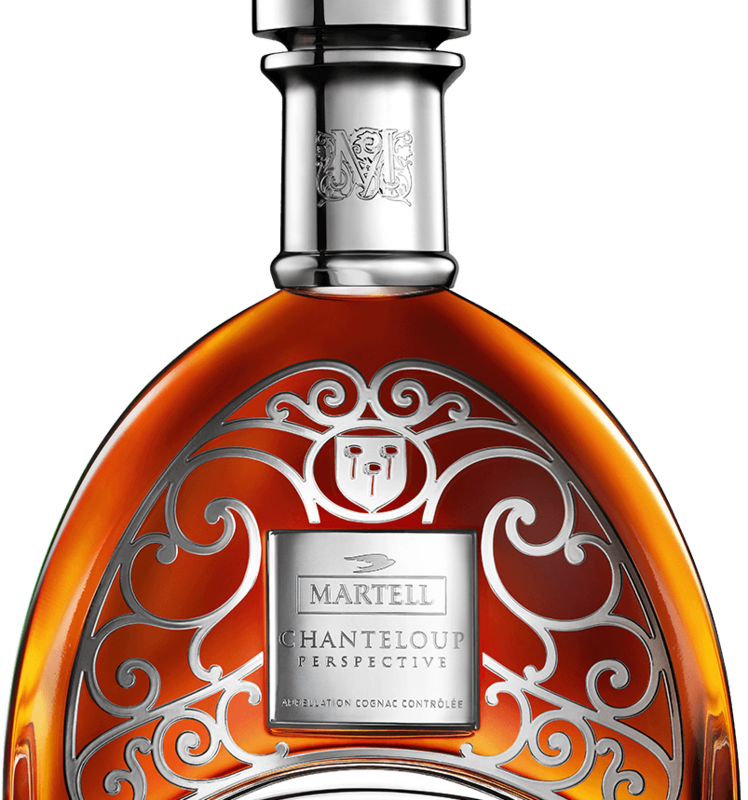 Martell Chanteloup Perspective is an 'Extra' cognac which offers a perfect balance of aromas and sensations. A beautiful amber colour flecked with shimmering glints of light. Generous notes of honey and fresh fruit: Vineyard peach and apricot. Aromas of candied fruit: Fig. Notes of dried fruit: Raisins, almonds and walnuts. A rare and particularly fruity sensorial experience. Ampleness and balance combine with force and elegance, with a lovely lingering finish. To be enjoyed pure for a unique sensorial exploration.